Daltco Electric is Eastern Ontario’s largest independent electrical distributor, offering residential, commercial and industrial electrical solutions. Since the mid 1800’s, the Dalton family has been operating businesses in Eastern Ontario. In that time, they have evolved from being a wholesale distributor of hardware products to the current entity, focused on electrical, automation, lighting and data communication market segments. In 1887, W B Dalton started Dalton and Strange, a wholesale distributor of hardware products. The three-storey brick building sold shelf and heavy hardware, farm implements, tools, cutlery, brass , tin, granite, iron, and sporting goods, and often delivered product to independent hardware stores with horse and buggy. 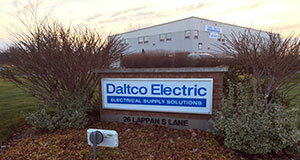 In 1977, John Dalton started Daltco Electric, specializing in electrical supplies and automation products. 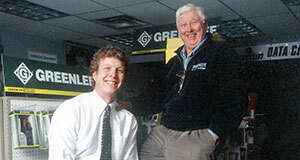 In 1997, John’s son Peter joined the company and subsequently took over its management. Under Peter’s leadership Daltco Electric has grown to become a leader in products and service for the Ontario market, through its 3 locations in Ottawa, Brockville and Kingston. 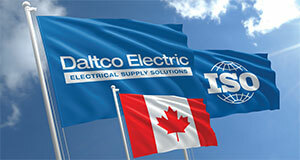 Daltco is a Canadian company, dedicated to providing personal service at a local level. Our branches are each positioned to provide intimate local market knowledge and penetration. Staff in all our locations are fully dedicated to serving the needs of their local markets. Customers can rely on our local presence to help them obtain the best possible service and partnership. We rigorously maintain inventory levels in each of our locations to support our local customers. As such, customers can rely on Daltco to have the required supplies in stock to fulfill their day to day orders and requirements. While Daltco is locally owned and operated, through its membership in Affiliated Distributors, Daltco also has the power of and stability of a $30 Billion multinational company behind them. The power of a large buying group, combined with the presence and flexibility of an independent business, results in the best possible service and value for our customers. Daltco is an ISO 9001 certified company. ISO 9001 is the internationally recognised standard for Quality Management Systems (QMS). ISO 9001 provides a framework and set of principles to ensure effective processes and people to deliver superior product and service time after time.